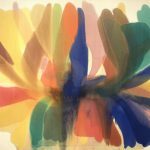 Since 2003, the Hirshhorn has been a leader in the conservation of Color Field paintings, particularly those by Morris Louis. 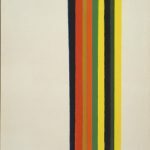 The immense canvases created by Morris Louis (American, 1912–1962) exemplify the artistic and technological changes of the 1950s, yet they are some of the least understood and most vulnerable artworks to come out of this transitional period. Louis’s paintings form a crucial link between the gestural nature of post-war Abstract Expressionism and the Minimalist aesthetic of the late 1960s. Louis is regarded as the founder of the Washington Color School of painting, a loosely affiliated group of artists working in and around Washington, DC from the late 1950s to the early 1970s. 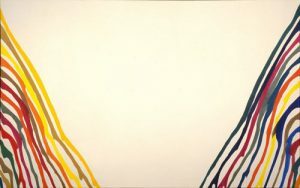 His mature style of painting emerged in 1953 after a legendary meeting arranged by friend and critic Clement Greenberg: Louis, Greenberg, and fellow Color Field pioneer Kenneth Noland visited the studio of Helen Frankenthaler, where they saw her staining canvases laid on the floor with dilute oil paint. Due to concerns about acids from oil paint damaging unprimed fabric, artists had not previously experimented with staining fabric in this way. 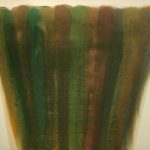 Thus the unprecedented commercial availability of Leonard Bocour’s Magna acrylic resin presented seemingly limitless possibilities. Starting in 1954, Louis exclusively used Magna paint and cotton canvas, working in a twelve by fourteen foot studio on the first floor of his home. He performed astonishing feats of painting on unstretched canvases up to twenty feet in length, but he was intensely private and never allowed anyone to watch him work (not even his wife). His ability to paint in this space is remarkable, not only in terms of working method, but also because the artist was not able to view most of his paintings in their entirety until they were completed and dried. Between 1954 and 1962, Louis painted over 600 works, encompassing five major stylistic periods: The Veil and Floral series show bold pours, overlapping pools of color, and relatively little exposed fabric, while the Pillar, Unfurled, and Stripe series suggest greater control over paint and canvas, and feature pure color juxtaposed with vast expanses of unpainted fabric. Since 2003, conservators at the Hirshhorn have been studying the materials and preservation issues surrounding the care of Louis’s paintings, as well as works by other Color Field artists. They began a more comprehensive examination in 2010 to more rigorously evaluate preservation protocols. Louis’s pictures are both painting and textile; conservation approaches that are appropriate for one material are often contradicted by the other, resulting in disastrous long-term effects. Disruption of delicate surface texture, color, or gloss is especially noticeable in monochrome fields of canvas or paint, and may be caused by handling, damage during installation, or conservation intervention. As a result, most institutions have relied on preventive care such as proper storage, display, and handling. Ideally, such measures would ensure enduring stability. However, as the materials used to construct these works, now almost fifty years old, alter with age, it is increasingly evident that many paintings require further intervention. Because no effective, well-researched treatment protocol currently exists for Louis’s paintings, many museums and collectors have relegated minimally damaged works to permanent storage. 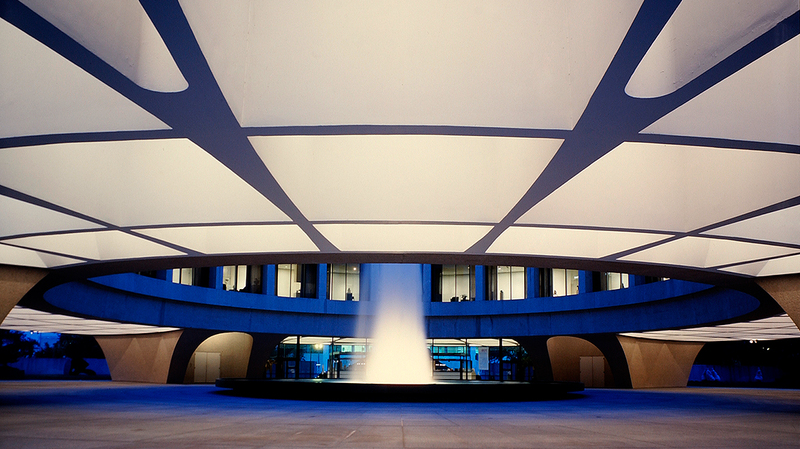 By developing more accurate and effective methods, Hirshhorn curators hope to preserve these paintings for the public to enjoy for years to come.